We have a team of lawyers and paralegals who are trained in the Common Law system in the U.K. and the U.S.A. and are supervised by lawyers who are admitted to the bar in the U.S.A. Cost effective outsourcing, Quality control and Confidentiality is our motto. 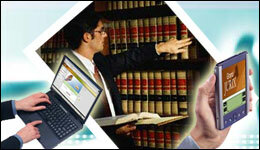 We provide legal / back-office services for overseas law firms, multinational corporations and publishing houses.